Gorgeous stamp set! And awesome inspiration from the design team!! I am completely hooked on the layering stamps. So beautiful. I am absolutely in love with this BAF set. It is gorgeous and I love how it looks in so many different colors. The cards your designers have done with the new Japanese Mum set sure will make Altenew fans notice this set. Have always loved this type of big “fluffy” mum. I love the layering stamps and dies, it makes it so easy to create beautiful cards. How very exciting ! This is so gorgeous. 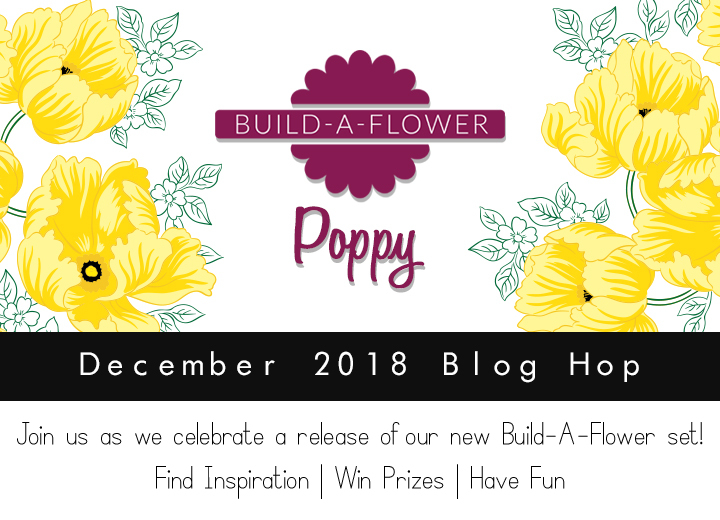 Your Build-A-Flower releases are something we look forward to with great anticipation! Thank you for always providing inspiration to go with your products! I love seeing how different everyone’s cards are! Amazingly BEAUTIFUL! Especially love the provenance associated with the flower!! Wow this is incredible. Once I’ve finished my Layering class, there’s definitely a whole world of opportunity, and a whole new level of development for me with these layering stamps ! These are gorgeous. Love this flower. The layering makes it so easy to make beautiful projects. What a gorgeous set and flower!!! What a beautiful set you can so much with. Beautiful new set! Can’t wait to see what your design team does. Beautiful Mum. Question when I ordered monthly subscription does this include Mum, I thought it did not so I ordered Mum separately, was this correct or not? Hi Barbara! The February BAF: Monthly Subscription already includes the Build-A-Flower: Japanese Mum. We have notified our Customer Happiness Team to refund the duplicate item from your order. If you have other questions, you can email them at support@altenew.com. Thanks! STUNNING flowers! The Build-a-Flower idea is genius! Beautiful, I will love to have it! Beautiful Japanese mum set and cards. These new Japanese mums are just beautiful, it will be nice to have them in my collection, I will be so excited to use these in my card making and scrapbooking projects. Thank you. what a gorgeous, gorgeous floral stamp. This is gorgeous!! All of the examples are beautiful! Congratulations on another great flower addition to your Build A Flower Sets! I really should try this out. Amazing flowers with all the detail!! I just love the Build-a-Flowers, and this has to be one of my favorites! So beautiful! For card-makers like me who are artistically-challenged, the layering stamps are the answer to my flower-making prayers! This is such a gorgous flower set and I love the sentiments that go with it! Simply exquisite bloom! The detail is amazing! Oh my goodness! This build-a-flower is gorgeous. Beautiful flower this one! I can’t keep up with everything new coming out…. Such a beautiful flower! I see where my next paycheck is going! These mums remind me of the ones we used to wear to our homecoming football games. The detail is wonderful. Thank you, Altenew, for providing us with such gorgeous flowers! I’m attracted to the dimension all the layers achieve with this flower set. So lovely. That Japanese Mum is gorgeous! I love when you have the option to color the outline stamp or use the layers. such a beautiful stamp! love the inspiration. This flower is a beautiful addition to your other sets. I have several of them. WOW! This is so detailed and yet so simple to make. Thanks for another great layered set. Beautiful addition to the Build-a-Flower family! Lovely projects. I love the free form flow of the petals of this Japanese Mum!! Gorgeous samples by all the talented designers! Oh my gosh…..I just fell in ❤️❤️❤️Again with this new stamp set!!! I absolutely am in awe of the beauty of this Japanese miracle of nature!